I get where clients are coming from. 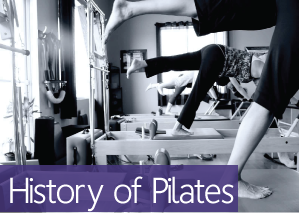 If you’ve never thought about or been educated on the importance of your feet/ankles in relationship to how the rest of your body moves, then foot exercises probably seem ridiculous! But I can tell you from someone who specializes in movement, it is SO important to take care of your feet!! And this doesn’t just mean taking care of them when they are hurting or are causing you pain, but taking care of them so they don’t ever cause you pain! And just in case you are wondering….paying attention to your feet CAN totally help you find proper alignment in your body, prevent injuries, strengthen the entire body more efficiently and can even help you lessen or get rid of back pain! The wonderful thing about taking care of your feet is that it is truly not difficult and does not take a lot of time to do it. But the little time and effort you put into your feet now can save you years of misery later in life! Want to start learning more? Here’s some basic foot facts that you might find interesting!! Over 2 million Americans seek treatment for plantar fasciitis (heel pain) each year. Foot disorders in the elderly are extremely common and are the cause of much pain and disability, and consequent loss of mobility and independence. Your feet mirror your general health. Conditions such as arthritis, diabetes, nerve and circulatory disorders can show their initial symptoms in the feet — so foot ailments can be your first sign of more serious medical problems. Intrigued? 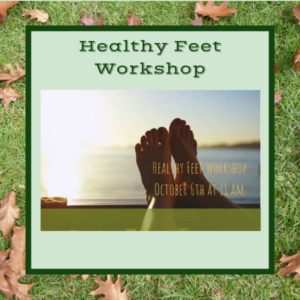 Join me on for my Healthy Feet Workshop on October 6 th where we’ll dive into learning about why your feet are so important to how the rest of your body moves and you’ll learn lots of “foot exercises” that you can easily start incorporating into your life to keep your feet and body healthy throughout your lifetime! !